Based on a review of data which was conducted by the University of Alberta, practitioners and parents are cautioned that they should be more aware about garlic, before using it for treating ailments in children. This was published recently in Pediatrics in Review. Though, usage of garlic for treatments in both children and adults is otherwise safe, further research needs to be conducted on the specific effects, as it is being used by parents to treat various childhood ailments, and the impacts are different. The Associate professor of Pediatrics at University of Alberta in Edmonton, Canada, Dr. Sunita Vohra, has mentioned that there is no sufficient data which recommends the exact dosages to be used for treating children. 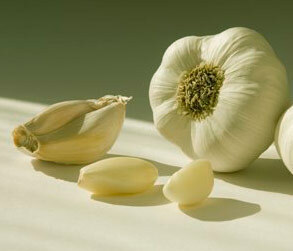 The data review showed that garlic tablets aided upper respiratory tract infections. Garlic when applied in small amount to warts also proved effective with promising results after three to nine weeks of treatment. A combination of garlic and three other herbs was also found to be effective when used as eardrops for relief from ear pain and infections in children. However, the precise dosage of garlic to be used in such cases, were unknown. Studies conducted on the effect of garlic in treating cardiovascular diseases in youngsters revealed no significant improvements, and the effect of the plant on lipid concentration and blood pressure in children with cardiovascular risk is yet to be studied. However, Dr.Vohra says, just as with conventional treatments, use of garlic also has its share of adverse effects. The adverse effects described in pediatric and adult studies were minor, such as pungent smell on body and breath. But the serious adverse effect of garlic was reported during its topical use. Three pediatric studies has reported second degree burns when raw, crushed garlic was directly applied to childrens skin as an antipyretic or antiviral treatment. Parents are cautioned against applying garlic directly on to the skin in the form of topical medication.